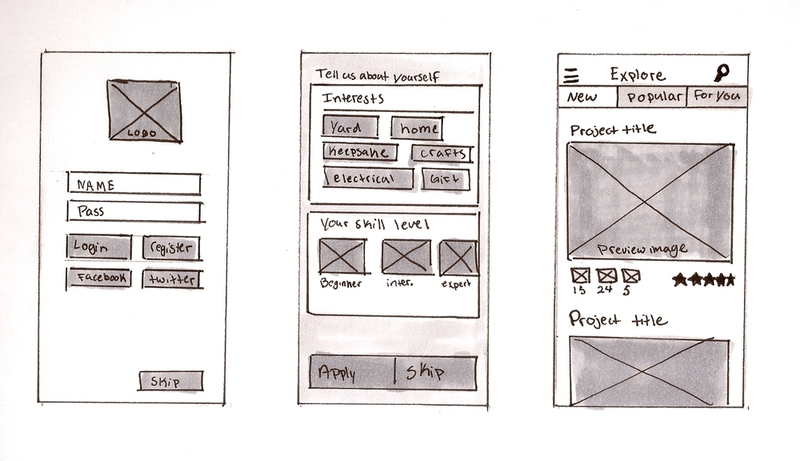 My role was primarily Art Direction, UX/UI, and Illustration. The Home Depot is one of the nations leading retailers for home DIY. While they do carry a wide assortment of materials, there is a disconnect between the customers and the stores "You can do it, we can help" attitude. Research has shown that many customers feel that the store's employees do not know the answers to many of their DIY questions, leaving them feeling confused and frustrated about their DIY aspirations. To better present the company's positive attitude towards at home projects and renovations, we created sidexside, an app that promotes families building together. The UX of this app is kid friendly and yet sophisticated enough for adult use. Features include easy navigation through a wide variety of projects, the ability to log the tools you already own, the ability to create a shopping list based on the projects you are working on, and step by step instructions accompanied by illustrative animations for clarification. The trademark for this app combines two core pillars. It is the combination of a heart, symbolizing the bonds families build, and a right angle ruler, for the projects they will complete. To help bridge the gap between adult and child, story book inspired illustration were created to guide users through every step of their project. To re-inforce the storybook aesthetic and simplify even the most complex of projects instruction are organized in a chapter format. Each chapter describes a large task broken down in to simple, easy to follow steps. To assist the knowledge gap between parent and child, the orange text in the steps indicate a necessary item. A user can tap the text to show an illustration of the required item – or a photo if the tool is logged in the user's toolbox. View the app below or click here to open it invisionapp. To invigorate The Home Depot brand and feature a more friendly, user centered design, we revamped the old home page. The old Home Depot site was clunky and old fashioned. We stripped the content down to create a clean minimalist navigation system that does not sacrifice function. Now users can breathe easy and find what they're looking for efficiently. 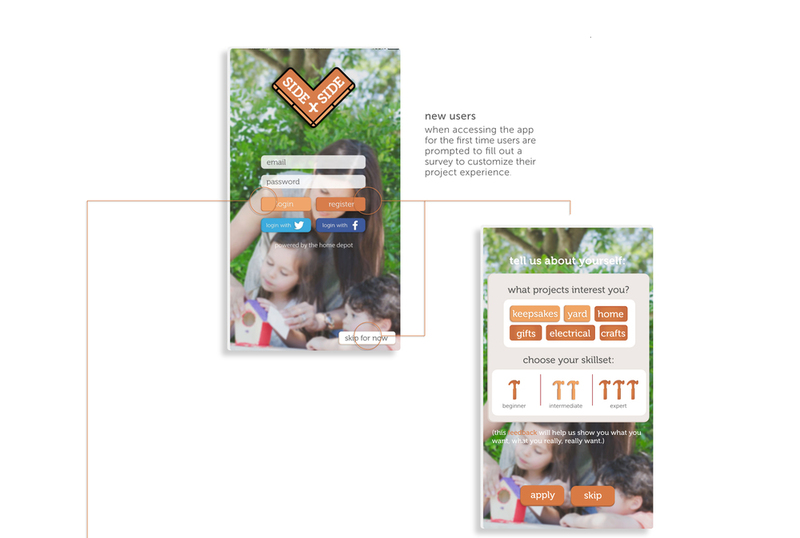 To walk potential users through the main features of the app we created a microsite. Simple and clean, the microsite is inspired by children's popup books. As users navigate through the site the pages unfold to reveal illustrations that support the didactic below. A series of web ads were developed to help drive content to the micro site. These ads incorporate imagery of families building together juxtaposed with illustrations simmilair to those found in the step-by-step tutorials in-app. To further raise awareness, in store promotions were made. These advertisements juxtapose the 3 dimensional finished project against a 2 dimensional backdrop created to match the illustrated step by step tutorials in the app.